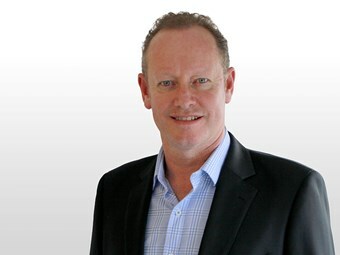 Teletrac Navman vice president of Asia Pacific Ian Daniel. The fleet management space is set for a shake up with the merger of two of its biggest players Navman Wireless and Teletrac by parent company Fortive. Under the rebrand announced last month, Teletrac Navman is moving towards a single solution called Director to support its 40,000 customers and 500,000 tracked vehicles across the globe. Speaking with Trade Trucks about the rebrand and its impact on current customers, Teletrac Navman vice president of Asia Pacific Ian Daniel says it was a logical decision after Fortive acquired Teletrac. The "geographical reach and even the segmentation they play in" make them "pretty aligned", he says, and "when you look from an experience perspective there’s longevity to both businesses". With Teletrac leading the US market and Navman Wireless on top in Europe, Australia and New Zealand, the new brand will "leverage some pretty good synergies", he says, and be able to "double-down on an R&D spend". "That’s a beautiful outcome," Daniel says, and one that will appear to its customers under the banner of Director. 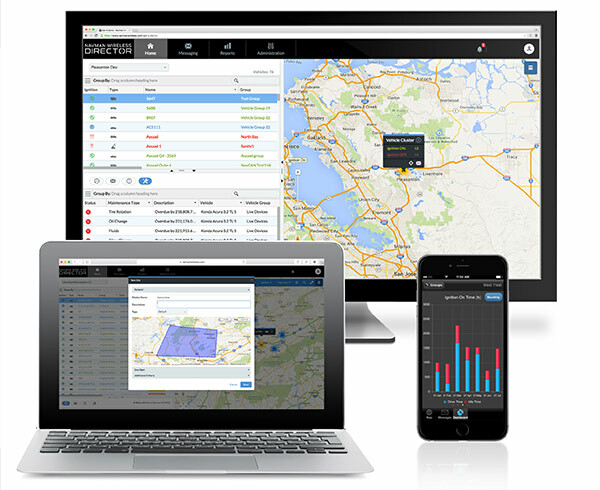 Covering mapping and routing tools, vehicle analytics, messaging, fleet management, regulatory requirements, driver performances, and real-time alerts, Director will replace two former solutions. "Back in the day, Navman Wireless was kicking around with a platform called AVL and OnlineAVL2," Daniel says, "and our friends from Teletrac, they had a platform call Fleet Director." "So we then said ‘right, we are going to reshape the front-end customer-facing SaaS software’ and we are relaunching that and we are calling that Director." Using a computer analogy, he says "it would be like someone running a Macintosh and someone running Windows, and you turn around and merge the companies together and say ‘right, we are going to put on ubiquitous platform on here that works seamlessly on both PCs’. "Obviously that’s not going to happen in a month of Sundays, but from our side of the fence, we can make magic like that happen for us in the telematics platforms that we have merged." Daniel says all Navman Wireless and Telectrac customers in Australasia will be migrated onto the new solution shortly, a process that has already begun. "Eventually we will be merging our entire customer base onto one platform," he says, "which again gives us that synergy." "We have probably moved, from a customer base perspective, around about 75 per cent of our base in New Zealand already and have moved around about 15 per cent of Australia already. "We expect the majority of that migration to completely be mopped up by the end of this calendar year." The acquisition of Teletrac by Navman Wireless’ parent company, Fortive, continues a busy year for the business’ fleet management division after it took Transtech under its umbrella in February. Daniel says Transtech, which made headlines for being the first in-vehicle unit provider to be approved by the national government body, Transport Certification Australia (TCA), is a "really exciting" unique asset in the space but remains at arm’s length from Teletrac Navman. "Transtech is a really good fit because the breadth of compliance applications they give us into that regulatory telematics space," he says. "That’s right in our wheelhouse." "They have an end to end solution and the good thing for us is we can leverage that knowledge." Utilising that knowledge for its technology roadmap, Daniel says Transtech enables it to understand "what we have to do to build that compliance out and through channels in Australia to get more market share." In terms of market share, the new Teletrac Navman brand now extends into Australia, New Zealand, Mexico, the UK, and the US – all of which, Daniel says, have transport markets that are "key" to the company’s strategy.